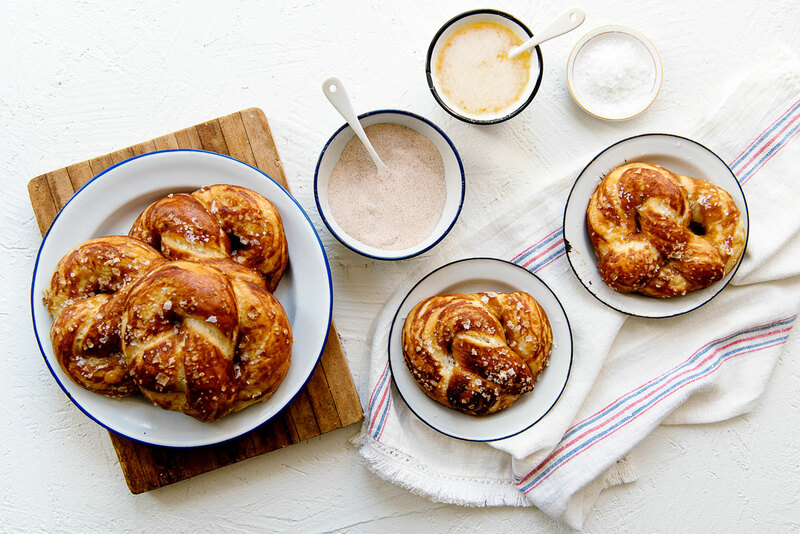 A recipe for truly the best Homemade Soft Pretzels. Perfectly chewy on the outside thanks to a baking soda wash and soft on the inside just like mall pretzels! Was I the only one who used to make a beeline for Auntie Anne’s pretzels as soon as we got to the mall? No costume jewelry at Claire’s or Bath & Bodyworks shower gels for me. Just pretzels, please. Now that I do most of my shopping online, these babies help me get my fix. These are seriously the best homemade soft pretzels that I have ever made. 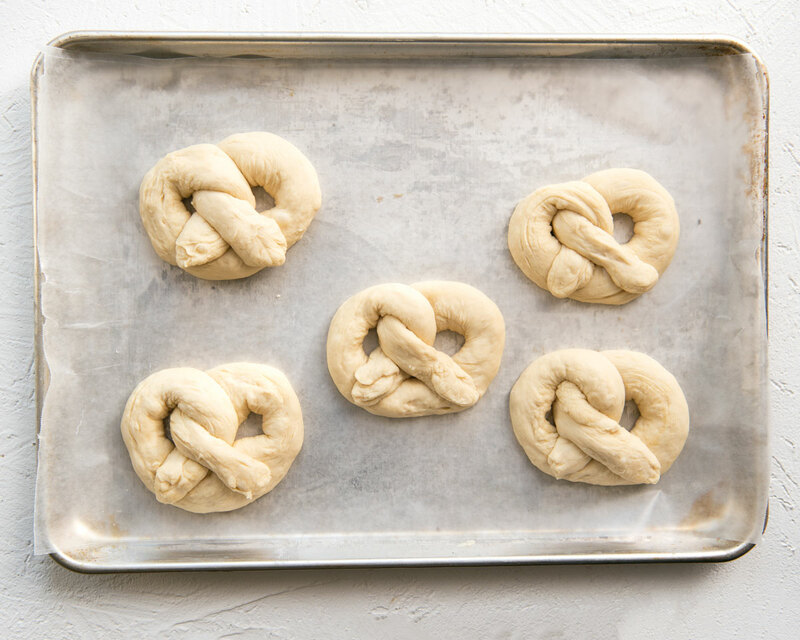 Similar to bagels, they get boiled in a baking soda bath for a few seconds to give the exterior that delightful chewiness just like the pretzels we used to get in the mall. It’s funny how such a small step can make all the difference. Big shout out to my girlfriends Holly and Rachael for helping out with these delicious treats! 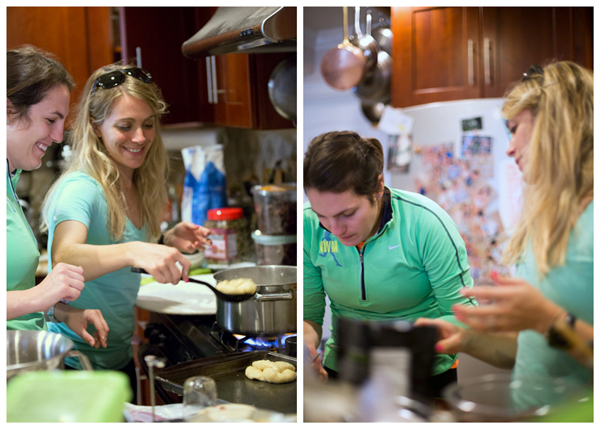 Baking with a girlfriend is wayyy more fun than baking alone – and not just because you have help with the dishes. 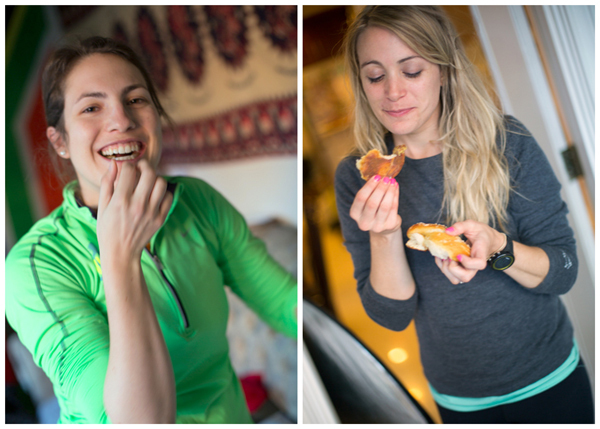 With our busy schedules, these get-togethers just don’t happen enough. I mean look at that. Perfectly chewy on the outside with a soft doughy center. Om nom nom. So easy to make and they turn out perfectly every time. 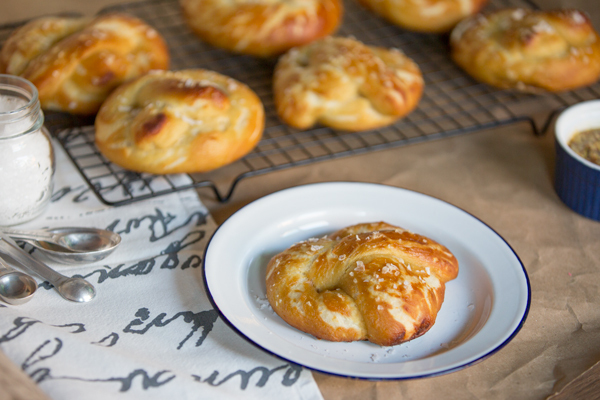 In addition to being addicting and delicious, this pretzel recipe is also really flexible. 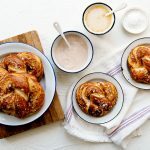 I love the classic twists like you find in the mall, but you can also form the dough into pretzel bites or sticks. Perfect for portion control or upcoming Superbowl parties! We mixed together some mustard and honey for a dipping sauce, but you can eat them with whatever you’d like. I’m a sucker for the old classic of melting some butter and rolling them in cinnamon sugar. Add the water, sugar, yeast, and butter to the bowl of a stand mixer and mix with the dough hook until combined. Let sit for 5 minutes. Add the salt and 4 1/2 cups of flour to the mixture and mix on low until combined. Increase the speed to medium and knead until the dough is smooth and begins to pull away from the side of the bowl, about 3 to 4 minutes. Add additional flour, 1 tablespoon at a time if the dough appears too wet. Place dough on a flat surface and knead into a ball. Coat a large bowl with canola oil, add the dough and turn to coat with the oil. Cover with a towel or plastic wrap and let rise in a warm place for about 1 hour, or until dough doubles in size. Slowly add the baking soda to the boiling water. Boil the pretzels 2 at a time for 30 seconds, using a slotted spoon to take them in and out of the water. Place the pretzels on a baking sheet and brush the tops with the egg wash. Sprinkle liberally with sea salt. Bake at 425° Fahrenheit for 15 to 18 minutes, or until golden. Remove from oven and let cool on a wire baking rack. 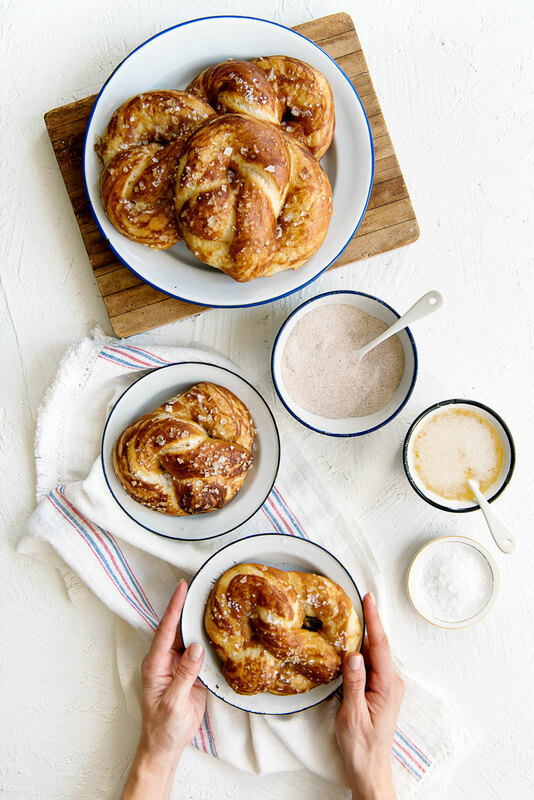 Serve pretzels with the dip or sauce of your choice, or roll in melted butter and then cinnamon sugar. Feel free to skip the twisting step and cut them into pretzel bites instead! *or cut them up into bite-sized pieces at this step to make pretzel bites! P.S. – This is an updated version of a post originally published in January 2014. I’m having so much fun going back through these posts and reshooting them! I hope you enjoy a look at some of the photos from the original blog post below. Ooo, those look amazing! Can’t wait to try this recipe out, I’ve never made pretzels before! They are fantastic! Let me know how they turn out! Wow those look amazing! I have never made pretzels before and have always wanted to! I will definitely try these in the next couple of weeks! Yum!! You should! Let me know how they turn out! These look absolutely delicious! I just pinned this so that I can make them later. P.S. 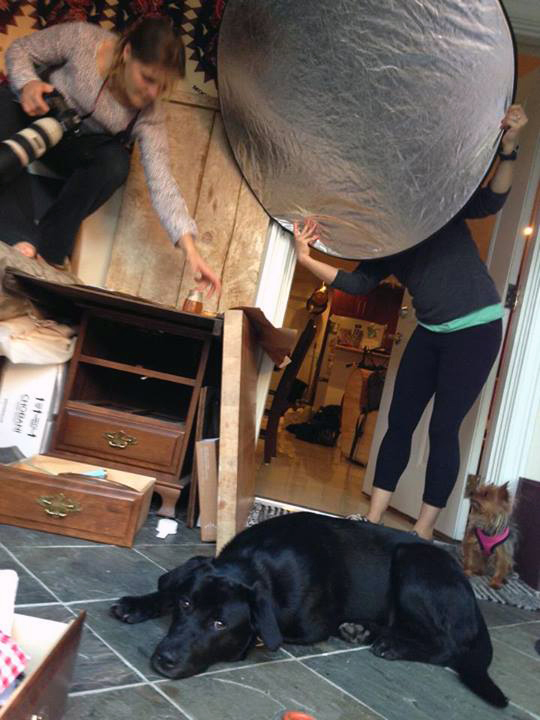 I totally giggled at your behind the scenes photo, I have so many of me taking photos in awkward positions, lol. Haha, I thought it was important that people realize my life is 100% a disaster behind the scenes! I’m going to try to share more going forward. These look absolutely delicious. Am going to be trying this real soon. I just love the last picture, so realistic… Gorgeous images. Thanks Simi! I was lucky to have a *real* photographer on hand for this shoot! 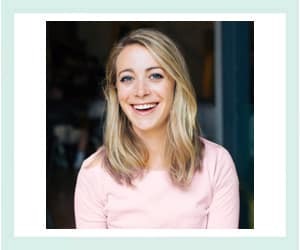 It makes me so jealous of the big bloggers who have a staff of helpers in real life! 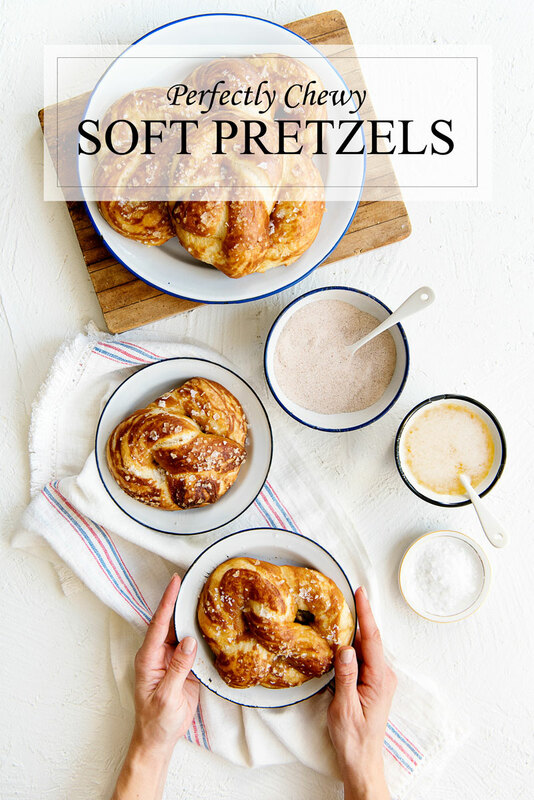 These were delicious great soft and chewy pretzel with a easy to follow recipe. 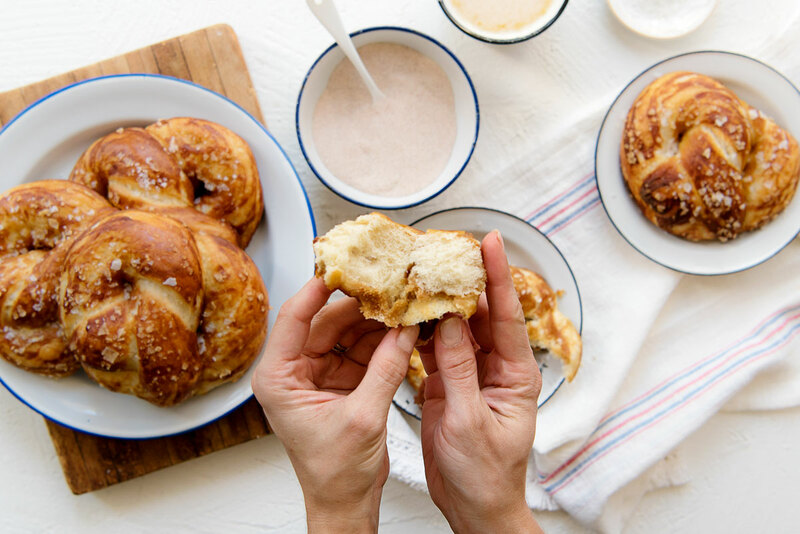 The only thing is I think I didn’t drain my pretzels well enough after the baking soda because I occasionally would taste a tangy and sour piece while enjoying my yummy pretzel but I can’t wait to make these again !!! Thank you. Oh hooray! Thank you so much for letting me know! I’m so happy to hear that my ramblings make sense. Brenda, you made my day! Thanks so much for the note. I’m glad you had success with these pretzels! Can I freeze at some point to have in freezer and ready to bake for fresh pretzels each time instead of baking all at once? Thanx ahead of time! I’ve never tried so I’m not sure sorry!